4202 Gardenspring Drive, Clemmons, NC.| MLS# 908994 | North Carolina Farm and Vineyard Specialist Patria Properties Inc. 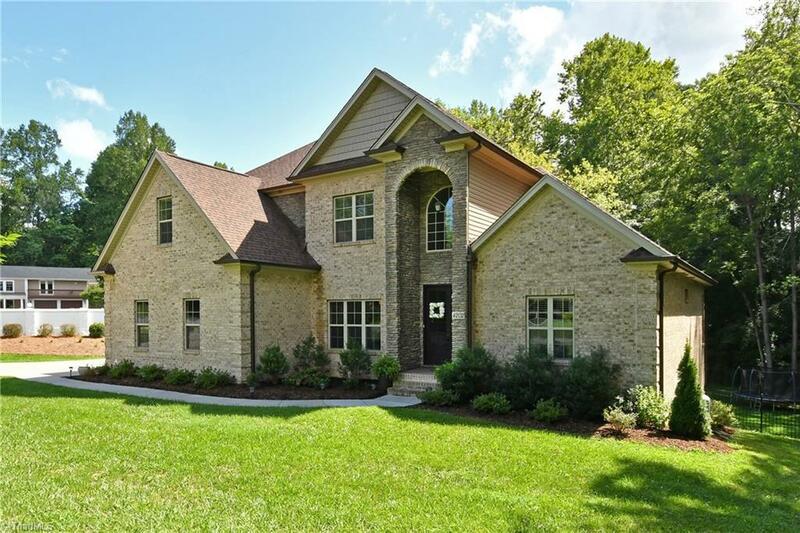 Stunning, custom home on prime .73 acre lot in mature Clemmons nbhd. Beautifully appointed throughout w/10' ceilings - 9' MBR, 2nd & LL. Open concept GR, Chef's kitchen, breakfast nook & screened porch/deck. Main level Master w/spa-like BA. Upstairs 4BR (BR 5 or Bonus Rm), 2 BA & walk-in attic stg. LL has den & full BA + unfin aeas for expansion. Near hospitals, Tanglewood, restaurants, shopping, I-40. Schools: Morgan/Clemmons/West.